A flock of geese is suspected of knocking out power south of Durango, causing an outage to about 90 homes. Geese are the likely culprits of knocking a power line into the Animas River south of Durango, causing about 90 homes to lose power for more than five hours Tuesday night. Indiana Reed, spokeswoman for La Plata Electric Association, said a power outage was reported around 5:20 p.m. Tuesday near the intersection of County Road 215 and La Posta Road (County Road 213), affecting 91 customers. 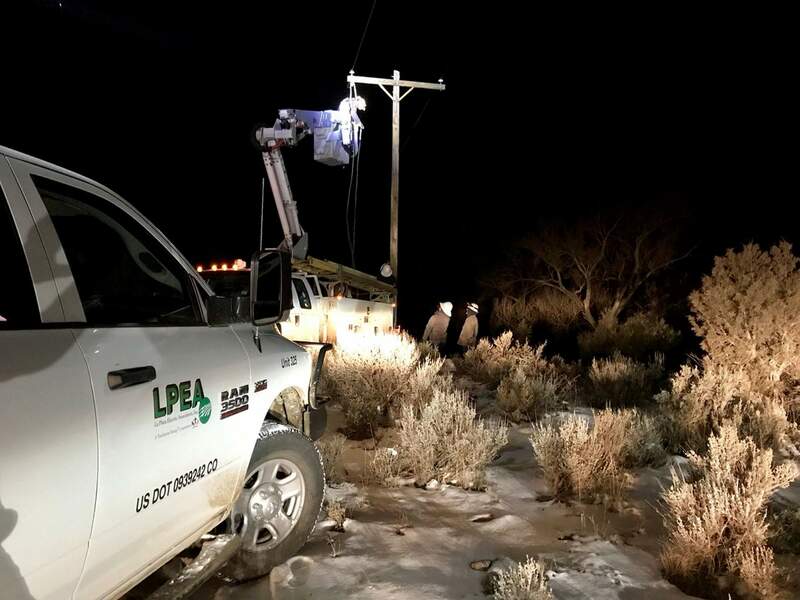 LPEA’s linemen went out to check the power line in single-digit temperatures, not knowing what happened or where the line went down. Eventually, the linemen found the downed line and started repairing the system. Power was restored around 10:40 p.m., Reed said. Reed said an LPEA customer called in later to say a flock of geese was sitting on the power line and damaged it. Reed said LPEA is always appreciative when customers call in to report suspected causes of outages. “If they (linemen) knew a bunch of geese were sitting on the line, they could have went directly there,” she said.